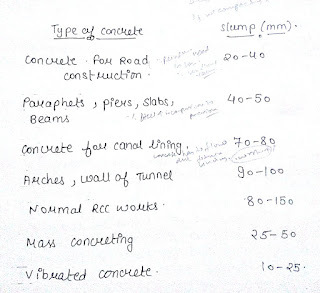 It is the most common method used to find the workability of the concrete in the field and in laboratory .Due to the ease of its performance .However ,it does not includes the effects of all factors that governs the workability . 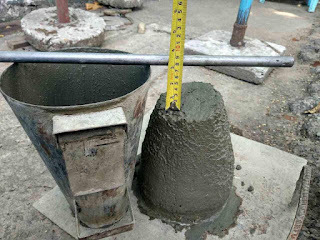 This test is suitable for the concrete having medium to high workability and not suitable for the concrete having very low or very high workability. layer is properly compacted with the help of the tamping rod by subjecting it to 25 number of blows . When the mould is completely filled ,it is lifted in vertically upward direction that causes the concrete subsidies .Where this subsidence is referred as slump valve and it is further used to indicate the workability of concrete. In order to measure the slump valve ,difference in the level of height of the mould when the top surface of subsidies concrete is noted. 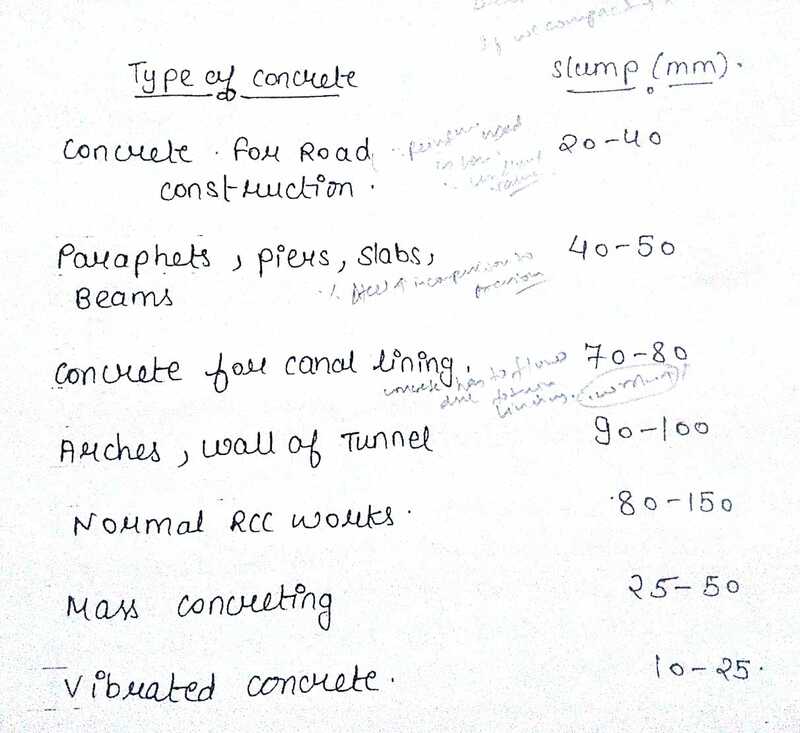 The nature of the slump obtained in this test can also be used to indicate the characteristic of the concrete with respect to the cohesioness being possessed by it .